Valentine’s Day is tomorrow! Here’s an idea for an afternoon of activities that will help you celebrate, while you also teach your children about love. Listed below are ten different portions of 1 Corinthians 13. Each portion has been assigned a related gift or activity. In italics, ideas are given to help you explain the reason for each gift. Copy each portion of 1 Corinthians 13, as they are listed below. You can copy the portion of verse onto a 3 x 5 card, or use an assortment of valentines or heart doilies for your verses. Put the verse card with its designated gift, wrap it, and write its assigned number on the outside of the package. For instance, for the first gift, you would write “Love is patient” on a card and wrap it up with a puzzle. You would write the number 1 on the package. A puzzle appropriate for the ages and ability of your children. Have the children work together to put the puzzle together. This will require patience with each other as well as patience as they work to complete it. Write this portion of the passage on a card, along with these instructions. “Do at least one kind and useful thing for each of the people in your family. Come back when you have finished.” Kindness is being useful. It seeks to do good to others. 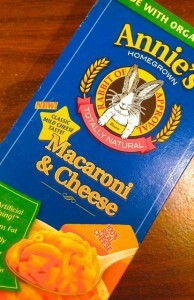 A box of macaroni and cheese and other necessary ingredients for preparing it. As you boil the water for making your macaroni and cheese, talk about how envy actually means boiling with anger over the successes and abilities of others. Along with the excerpt from the verse, write the following on a card: “Write a note to each person in your family, or simply talk to them, telling them what you admire about them.” Instead of boasting, your children will be humbling themselves, and talking about what is good about other people. 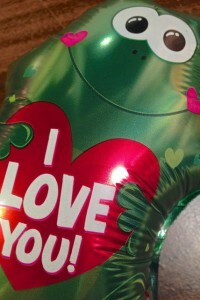 An inflated balloon on a string or stick for each child. An unloving person becomes inflated with his own view of himself. Several ziplock baggies, each with a different kind of cut up fruit in it. You need as many bags of fruit as your have children, and each bag should have a different kind of fruit in it. Fill one with cut up apple, one with orange sections, one with grapes, one with strawberries, etc. Include napkins in this package, too. Each child should take one bag of fruit, and then they should all share with each other, so everyone gets some of each kind of fruit. A gift bag with several different board games and card games appropriate for the age of your children. (These don’t need to be new games to your family.) Have the children work together to decide which game they will play together. This will require thinking of each other, and not just doing what they personally want to do. 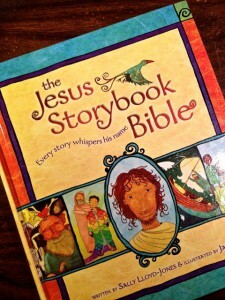 A Bible or favorite Bible storybook that includes the story of Joseph being reunited with his brothers. Read the account of Joseph’s brothers coming to buy grain from him in Egypt, and how Joseph responded to them (Gen. 43-45 and 50:15-21, and just 50:15-21 for young children). Talk about how he did not keep a record of their wrongs against him, but instead forgave them. Let the children act out the story, if they would like. Before bedtime, discuss how your day went. How did you do at showing love to each other? Who gives us the strength to love? 2/14: The kids right now are finishing up on the last task and will report on their “rejoicing with truth” at dinner tonight. Highlights: finally starting & finishing the 500 piece puzzle from Christmas (and talking through the frustrations along the way! ); the littlest crying “happy tears” because her much bigger brother made her bed look so nice; and pretty much all the ways God’s love was shared together in each of the activities. The concrete applications will stay with us into the future, but was just a wonderful way to spend the day! Thank you so much for your wonderfully creative and practical godly object lessons! I had a wonderful day with my family celebrating God’s love for us, thanks to you! Thank you for these wonderful memories! Carolyn, here’s a couple posts from previous years. Watch the blog before Easter this year for more ideas!